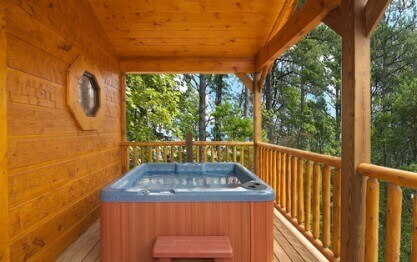 Many have said Majestic Views is the best value 4 bedroom cabin in the area. Why? 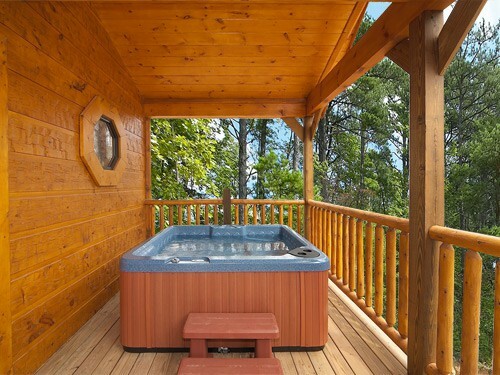 Not only does it have fantastic views of the Great Smoky Mountains, but it's a value cabin at a luxury resort located in the Historic Arts and Crafts Community just 8 minutes from Downtown Gatlinburg. You will be close to everything but away from it all. It is said that there is nothing better than relaxing on your covered deck on a porch rocker enjoying views of the sun setting over Mt. LeConte and the Great Smoky Mountains. Well, maybe sitting under the stars and enjoying your private hot tub might be a better alternative. Or perhaps gathering with your family for a few days in a luxury cabin and forgetting about the stresses of life, school and work. Majestic Views certainly aims to please! Enter on the mid level where you can spread out in the living room with gas fireplace and luxury furniture. The adjoining dining area and bar area with seating for 10 can accommodate your larger group. 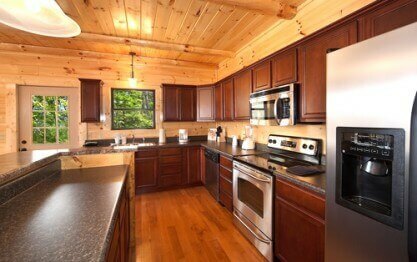 Prepare in cabin meals in your full kitchen with stainless steel appliance and gas grill on the deck. 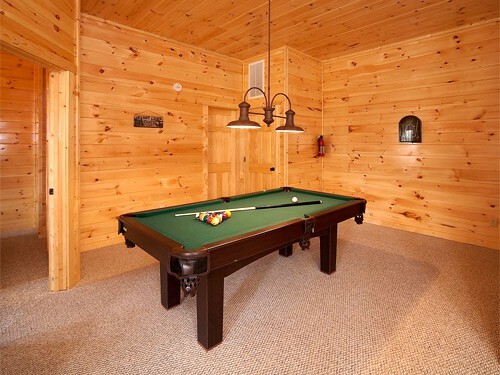 You can send the kids downstairs to the game room where there is free WIFI, a pool table, cable TV and their own private bunk room. Upstairs are 3 suites with 2 full baths and private deck. You can enjoy the sun rise and set while retiring in to your suite with upgraded mattresses and bedding. 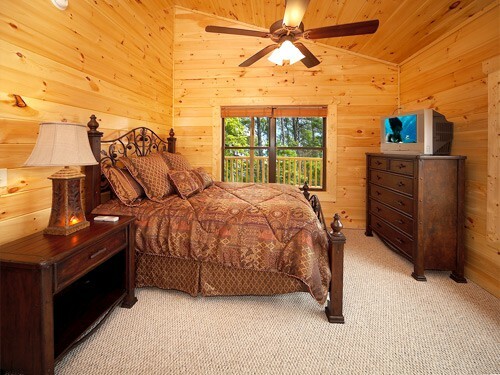 Majestic Views and Elk Springs Resort are conveniently located in the Arts and Crafts community in Gatlinburg. It's what Gatlinburg used to be... There are over 100 Artisan shops and Restaurants with an abundance of unique crafts, art dining options. You are also just 10-15 minutes from all the activity including downtown Gatlinburg, the National Park main entrance, ziplines, 2 golf courses, rafting, mini-golf, Dollywood and all the other activities the area has to offer. Great cabin. Prompt maintenance if needed. Courteous staff. It was our pleasure to provide you with quality services during your stay, Tracy! We hope you will make plans to stay with us again on your next trip to The Great Smoky Mountains! Remember, as a repeat visitor you will save 10% on future stays. Thank you! It was awesome, the only down fall was we had elderly people with us and there was no bathroom down stairs. Thank you for sharing your experience with us, Lynette. We are sorry if there was any confusion on the layout of the cabin. We can certainly understand this could be a challenge. 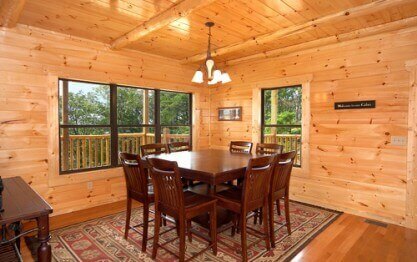 While this cabin was not a perfect fit, we have a great selection of cabins with varying layouts. Please contact us when you are ready to start planning your next visit. One of our experienced Sales Representatives will be happy to assist you in finding a cabin that will not only meet but exceed, your expectations. We sincerely apologize for any inconvenience experienced and hope you will consider staying with us again in the future. We encourage guests to book direct and save up to 15% on your booking. We love Elk Springs Resort. Every year we have our family trip and we will always stay at this resort. Everyone is friendly and its so close to thing to do. We are pleased to hear you had such a great stay at Majestic Views! 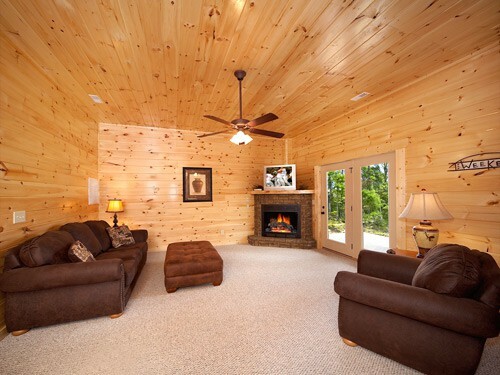 You certainly chose a great cabin to relax and create memories that will last a lifetime. 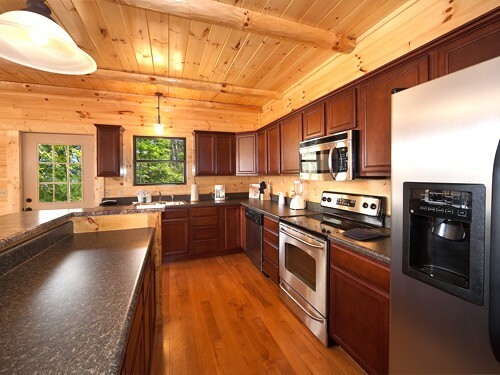 This cabin is definitely in a perfect location to hit the heart of downtown Gatlinburg or access some of the spectacular hiking trails in our area. We loved having you as our guests, and we hope you will make plans to stay with us again very soon. Hurry back, new memories are waiting to be made! House was clean and plenty of room for everyone! Had a great time! Thank you for your wonderful review, Amelia! We are happy to hear your stay was exceptional. We enjoyed having you as our guest and hope you will consider staying with us again in the future. My family and I really enjoy our weekend getaway, beautiful view , good space for a large family, trails, grocery store, anything and everything was so close to us. Thank you for your wonderful, 5-Star review, Adilene! We are delighted to hear your stay was exceptional. We enjoyed having you as our guest and hope you will consider staying with us again during your next visit to Gatlinburg. Please keep in mind, as a returning guest you will enjoy 10% off all future stays. Hurry back, new memories are waiting to be made! Cabin was clean and very nice. We all enjoyed our vacation time. Thank you for your 5-Star review, Chandrakanth! We are delighted to hear you enjoyed your stay and hope you will consider staying with us again in the future. "Spacious, clean, good location "
We appreciate your business and your fantastic review, Gabrielle! It is a pleasure to hear that we not only met but exceeded your expectations. We hope you will make plans to visit us again very soon! Please keep in mind, as repeat visitors you will enjoy 10% off all future bookings. Hurry back, new memories are waiting to be made! Thank you for having choices that do NOT include media rooms. We go to the mountains to get away from it all! Wonderful cabin. Thank you for your kind review, Jill! We are delighted to hear you enjoyed your stay. While some of our guests enjoy the media rooms, we do understand that many others come here to relax and enjoy life without all of the distractions. 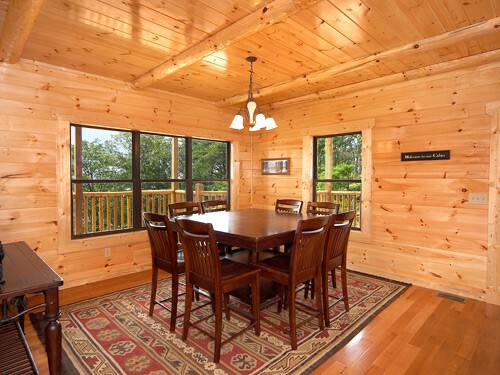 We offer a variety of cabins that vary in amenities for that very reason. We enjoyed having you as our guest and hope you will consider staying with us again in the future. "Best Place to stay "
We traveled with 2 other families and had a wonderful time in staying and enjoying the nature view. We appreciate the staff on calling and checking the stay with in 12Hrs., if there is anything that n…eed to be done. Definitely considering again to stay in the same resort. The quality inside the cabin was extremely good and made everyone happy. We appreciate your wonderful 5 star review, Yaswanth. Customer service is very important to us and we are delighted to have had you as our guests. We hope you will visit again very soon. Please keep in mind, as repeat guest you will enjoy 10% off all future bookings! We enjoyed our stay at the cabin. We ventured to Gatlinburg and Piegon Forge. I appreciated the early check in that was available. Thank you for your great 5 star review, Stacey! We are so happy to hear you enjoyed your stay at Majestic Views! 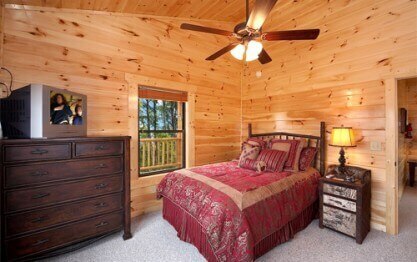 It is our pleasure to provide you with a luxury cabin to enjoy time away from the hustle and bustle of everyday life. We hope to become your home away from home while visiting the area. Hurry back, new adventure awaits! My friends and I had a wonderful weekend in this cabin. Had everything that we would need or want. Plenty of room and amazing views! Thank you for your 5-Star review, Cyndal! We are delighted to hear your stay was exceptional. We hope you and your friends will make plans to return soon! Thank you for allowing us to be a part of your retreat! We are happy to hear it was a success. We hope you will consider making us a part of a new annual tradition. We hope to see you again soon! "Wonderful time at Majestic Views "
Thank you for your 5-Star review, Nicole! We are delighted to hear you enjoyed your stay. We would consider it an honor for you to come back and stay with us again. Hurry back, the Smoky Mountains are calling! This was a great vacation with 18 family members.We used two rental cabins and both met our expectations and more. Thank you for allowing us to be a part of such a special celebration, Ray! We are excited to hear both cabins exceeded your expectations. It sounds like wonderful memories were made. We hope you will consider making Elk Springs Resort a part of a new tradition when visiting our beautiful Great Smoky Mountains. Come back and see us soon! It was wonderful just to spend time with all our kids and grandkids in the same house. Thank you for your 5-Star review, Joann! We are pleased to hear you and your family enjoyed your visit with us. It sounds like wonderful memories were made! We hope you will consider making Elk Springs Resort part of a new tradition when visiting our beautiful Great Smoky Mountains. Hurry back! We met another family in Gatlinburg at our original cabin run by a different rental company and it was filthy and run down. I called Elk Springs Resorts at 8p and explained our dilemma and they immedi…ately recommended Majestic Views and assured me we would be well taken care of. They had us in the cabin by 9:30a the next morning. What a pleasant surprise, it was immaculately kept and absolutely stunning! I will never rent with anyone else again. We didn't have a single issue, however if we did, I'm sure it would have been resolved quickly. You, as our guest, are our top priority! We have 24/7 guest assistance should any issues arise. We can assure you all issues are taken care of with extreme urgency. We thank you for giving us the opportunity to provide you with the top-notch vacation that you will come to expect while staying with us. 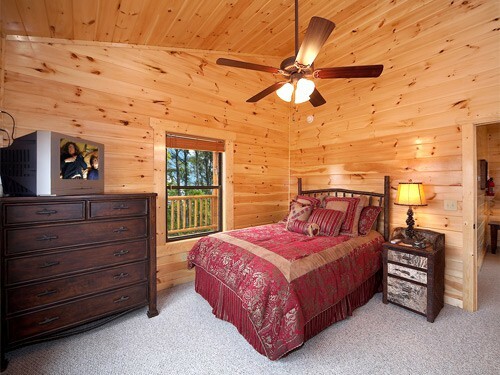 With so many cabins to choose from, we can provide you with a dream vacation each time you come back to visit Gatlinburg. Please keep in mind, as a returning guest you will receive 10% off all future stays. 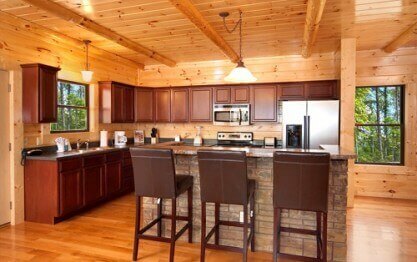 We have been using Elk Springs Resort Cabin Rentals for several years for our youth retreat. We are always very pleased with our stay and hospitality of this business. 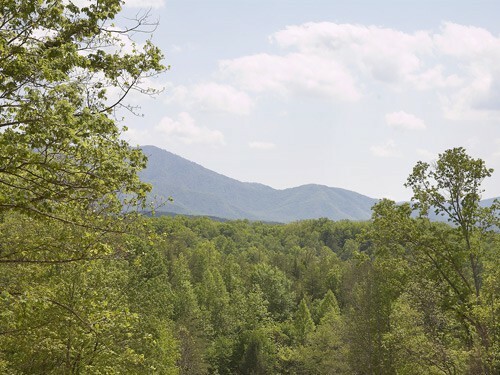 As a family based business, we love being a part of your visits to our Great Smoky Mountains. We do believe these outings help to shape today's youth into positive, successful young adults. We thank you for providing them with this opportunity. Please keep us in mind for all of your group outings. 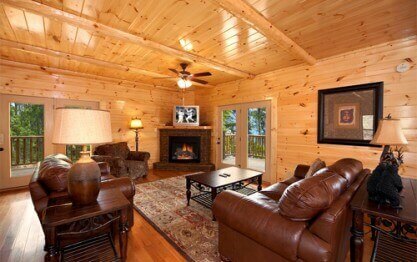 Many of our church groups enjoy our cabins for couples retreats, men's or ladies weekends, or senior trips as well. 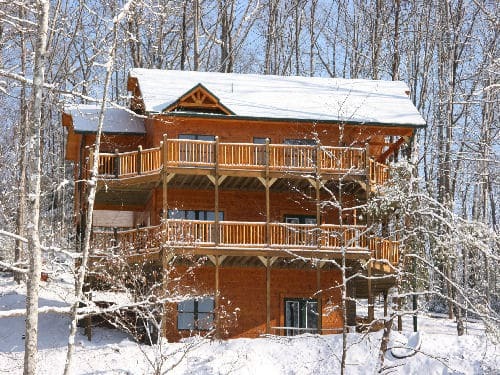 "Highly Recommended Cabin in the Smokies!" Very beautiful, clean, spacious cabin! The mattress was a little uncomfortable. That's the only negative I can mention. The check-in process was very simple, as well as check-out. The staff are ve…ry friendly and helpful. The emails are very detailed with lots of info. The only question I had to call about was if the coffee maker was regular or single-serve. I would highly recommend and would most likely use this resort in the future! Thank you for your kind words, Amanda! Please be sure to to take advantage of your 10% repeat guest discount at the time of your booking! Hurry back, more memories are waiting to be made! This is a very spacious cabin with a lot of cool amenities. Just being able to relax and enjoy my family in a atmosphere that really makes you feel at home. Everything was so easy from checking in to …us checking out which made our stay even better. Knowing that the staff were there to help in any way. I am looking forward to making this place a yearly vacation for me and my family! We appreciate your business and wonderful 5 star review, Jeanee. We look forward to having you back for a future stay. Please take advantage of your 10% repeat guest discount at the time of your next booking! Hurry back, more memories are waiting to be made. "A Great Family Vacation in the beautiful Smokey Mountains"
Loved this cabin with fantastic views and ample room for our family of eleven which included 5 teenagers and a dog. The management staff was very helpful and courteous and prompt with request. The roo…ms were larger than pictures portrayed and the balconies were used often to watch the stars at night with family conversation. Because of the warm weather, the large hot tub was not used often. The ceiling fans in every room and AC was appreciated. The gas grill(clean) was put to good use. Beds and pillows were very comfortable.Great time was had by all. Majestic Views is a beautiful cabin. The kitchen was well stocked with the necessities. The only downside was no bathroom on the main level. 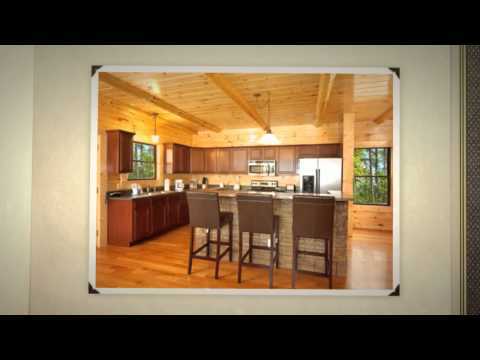 I was very happy with this cabin and Elk Springs Resort. …They followed up to ensure check in went smoothly. I will rent from Elk Springs Resort again. Thank you for your review Tammy! Each one of our luxury cabins features a different layout and we apologize that this one didn't have a bathroom on the main level. We are pleased that you enjoyed your cabin and found that customer service met your expectations. You receive a 10% discount as a repeat guest, so we do hope you will come back again! We rented two cabins to accommodate our whole family and three dogs. 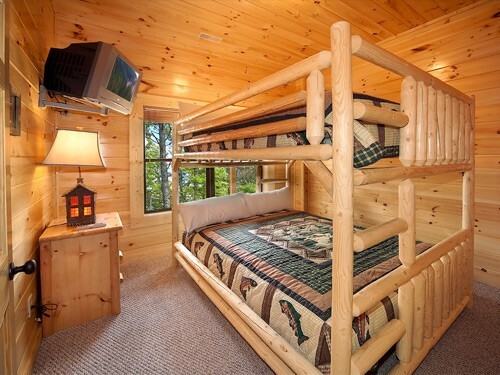 Great roomy cabins with lots of personal space. Close to many activities. Spacious cabins for the whole family and your pets AND a 5 star rating! We are very proud of the cleanliness of our cabins and appreciate the nice comments from guests like you. 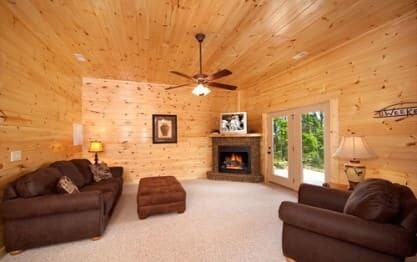 When you plan your next trip, why not try an upgrade to one of our 7 bedroom cabins and have the whole family under one roof? Just mention that you are a repeat guest and take advantage of that awesome 10% discount we give. Very peaceful clean and serene I enjoyed it!! We loved our stay at majestic views! Would def return again! "Everything you could hope for"
This cabin was absolutely amazing! Stayed a weekend with some friends for a nice getaway and we couldn't have had a better time. The cabin was just as pretty if not better than the pictures showed, an…d the sunsets were breathtaking. We also enjoyed touring Gatlinburg. We will definitely be coming back! The cabin was perfect, very clean and beautiful. Has everything we needed to cook and was just beautiful to sit in and relax. Also had great customer service with a dishwasher issue we had...came out …within the hour and fix it! Wonderful place, we will be back again. The cabin was absolutely gorgeous! We had about 3 different couples and 3 friends staying at the cabin, and there was ample room. We thoroughly enjoyed our visit and the simplicity of the process. We …will definitely be back! The furniture was high-quality, and the entire place was clean. Majestic Views and Elk Springs resort worked out perfectly. We had 2 families with 4 kids and had plenty of space. 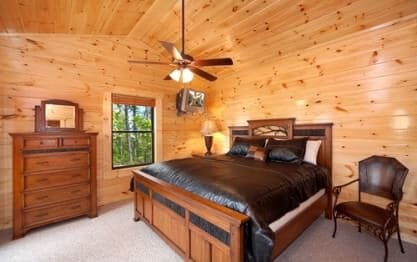 "Close to Rocky Mountain Sports World"
The cabin was lovely and the area was nice and quite. We will be back next year. Customer services was excellent as well. 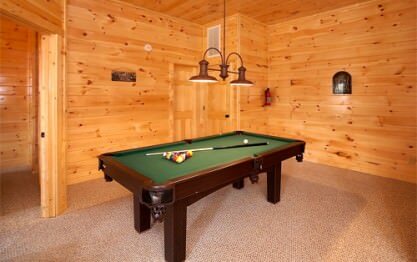 The entire family enjoyed their stay and the two younger children enjoyed the pool table. "Amazing weekend with the family! " The only regret I have is that I didn't plan to stay longer. Great town and the best cabin. My whole family loved it, we are planning to go back writhing a year or two. I totally recommend it. Our cabin was ready early which was nice because we arrived early from a 7.5 hour drive from VA. When I tried to enter the door code I was texted the door nob fell off. I called and maintenance was at… our cabin quickly to help. The Majestic Views cabin is impressive. The views were truly majestic and breath taking. The location was convenient to attractions, stores, and gas stations. "Great Experience at a great cabin"
Great experience at a great cabin. "Awsome Family New Year Vacation"
Absolutely loved the cabin. Perfect for 2 families of 4. Location was good. The only downfall were the TV's - a little old. "Elk Springs Resort is #1 for cabin rentals"
We will never use anyone other than Elk Springs Resort. We just spent 4 incredible days at one of their cabins and this was our second time using Elk Springs Resort for a cabin rental and again they d…id not disappoint. Their team of employees were so helpful during the booking process which is great to have because we have a lot of questions. 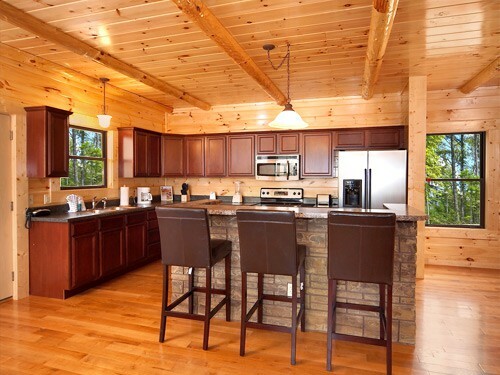 My family, friends and I have stayed at several different cabins handled by other companies throughout the years but none of them compare to the quality you receive from an Elk Springs cabin. The cleanliness, the amenities, the updated equipment (i.e. appliances, cookware, furniture) and location is hands down the best I've ever seen. We make a trip at least once a year (sometimes twice) and we will always continue to go directly to Elk Springs Resort and will also highly recommend them to our friends and family. 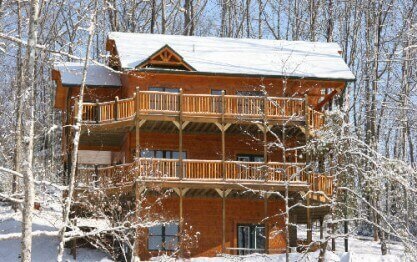 "Amazing week in the Smokie Mountains"
The cabin was/is great!!! We have stayed in this cabin twice now. Great view of the mountains! Plenty of space for all the family (we've had eight folks in there both times), including the four legged… ones. We truly enjoyed our time at Majestic Views; and will be back again! This was the first year we have stayed with Elk Springs Resort. The overall experience was very pleasant. The property management company was very helpful. The cabin was huge. I especially liked the Queen bunk beds downstairs. I really liked the fact that there were 3 living areas so everyone could spread out. The wrap around porch was great. I would stay here again. No problems at all. The place was as good as described. We had a great time in the cabin. Myself have been to gatlinburg many times. 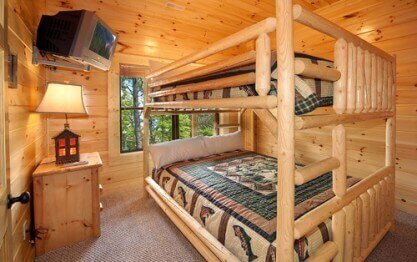 Me and my family are thinking about renting lots of different cabins for our family reunion. "We had an amazing vacation while staying at the Elk Spring s Resort!We were looking for a vacation "
The booking process was so easy. Great communication. Checking in was even easier. Perfect directions to cabin. Cabin was immaculate. Plenty of room. Everything we needed. Incredible view. Ext…ended our stay an extra night at the last minute, and they were very prompt in responding. Grocery store right around the corner. Arts & Crafts community nearby. 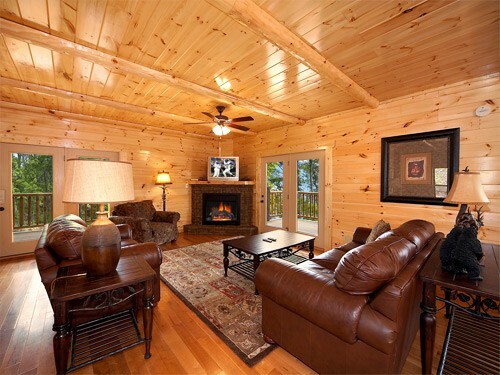 Convenient to Gatlinburg and Pigeon Forge, but nestled in the mountains for that retreat feel. Loved everything about it. Will stay again and again and again. Thank you!!! "I was very pleased with nearly everything about my stay at your property. The only improvement that"
Hi Keith, cabins generally are a little different than hotels in that we do not provide daily linen service. We do have a full size washer and dryer in each unit and do provide a starter packet of detergent so that you can wash towels if necessary. We also are capable of providing additional linens upon request or we also can provide daily linen service too. Guests should call our toll free number and press the housekeeping extension, we are just 2-3 minutes away from the cabin and have linens on site. My girlfriend and I had the luxury of staying in perhaps the greatest resort in Gatlinburg! The service was great, location was perfect, and the accomadations and cabin were tremendous! Definitely recommend Elk Springs Resort.